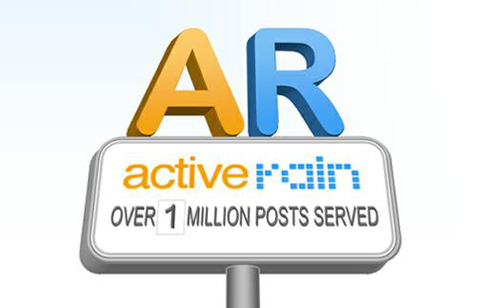 ActiveRain is one of the top social networks devoted to Real Estate professionals. If you want to do well on this network, as well as have your profile come up in search results, you will need to do the following things to optimize your ActiveRain profile. If you want a webpage to do well in search results, you will want to optimize as many SEO elements of the page for search as possible. The same goes for social profiles such as your ActiveRain profile. The order of importance is generally SEO Title, Meta Description, header tags (H1, H2, H3), image ALT tags, image filenames, and bolded text. When it comes to search results, the typical result will show the SEO Title linked to your profile, the URL, and the Meta Description beneath as additional details. Here are the SEO elements that you can customize to optimize your profile. Your Name – Your name is in both the SEO title and Meta Description for your profile. Be sure it appears as people would search for it so your profile will appear in search results. I am a… – If you’re signing up for ActiveRain, be sure to select your correct title (Real Estate Agent, Loan Officer, Notary, etc.) as this will appear in the SEO Title and Meta Description for your profile. Your City & State – The city and state you list for your address and primary market will also appear in the SEO Title and Meta Description for your profile. Profile Details – The About Me title (which can be renamed) for the first section of your profile counts as an H1 tag. Be sure to change this to include your name or your top keyword, such as Your Name, Real Estate Advisor. Your Image Filename – Whenever you upload your profile image, be sure the filename includes your name and your main keyword phrase as this will be included in the HTML code and might help your photo rank in image results. Also, while the links do not count for SEO value towards your website because they are marked as nofollow, which essentially tells search engines to ignore them, you should still add links to your website to both the Website field and within your About Me text using the link button. Even if search engines ignore those links, visitors are still likely to click on them. Adding information under each section of your profile including the short description, About Me, specialties, and testimonials (270+ points). Uploading a HD profile photo at 600 x 600 pixels (1,000+ points). Logging in daily (100 points per day). Inviting others to ActiveRain (you receive 250 points when they accept your invitation plus 10% of the points the invited members earns). Commenting on blog posts (25 points with a minimum of 50 characters per comment, up to 10 comments per day). Submitting blog posts (200 points with a minimum of 50 words per post, up to 10 posts a week). reBlogging another member’s post (25 points, up to 10 reBlogs per week). You can also receive more points if your blog post is featured on ActiveRain’s homepage (400 points), if members comment on your blog posts (up to 475 points per post), if you win ActiveRain contests (point amount varies), or if a staff member awards you points for good deeds around the network (point amount varies). Why do points matter? The more points you have, the more popular you are on the network. ActiveRain has a leaderboard which displays members in order of the most points. The top member currently has 1.5 million points which means you probably have a long way to go. So start engaging on the network on a daily basis to be the leading Real Estate professional in your region! Are you an ActiveRain member? Have you seen good results from the ActiveRain network? Please share your thoughts, experiences, and additional tips in the comments! Contributing writer Kristi Hines is an online marketing consultant, freelance writer, blogger, and social media enthusiast. Great recap of how ActiveRain works Kristi. It’s been a terrific community for me to learn (a lot! ), connect with other agents across the country, and with buyers and sellers. Have you joined us there yet?